Heliopolis, the site of a new research initiative at Parsons. Focused on Heliopolis, one of São Paulo’s largest favelas, the Smart Informal Territories Lab (SITLab) is a new research initiative launched by students and faculty of Parsons The New School for Design, São Paulo’s Universidade Presbiteriana Mackenzie, and the Amsterdam School of the Arts. 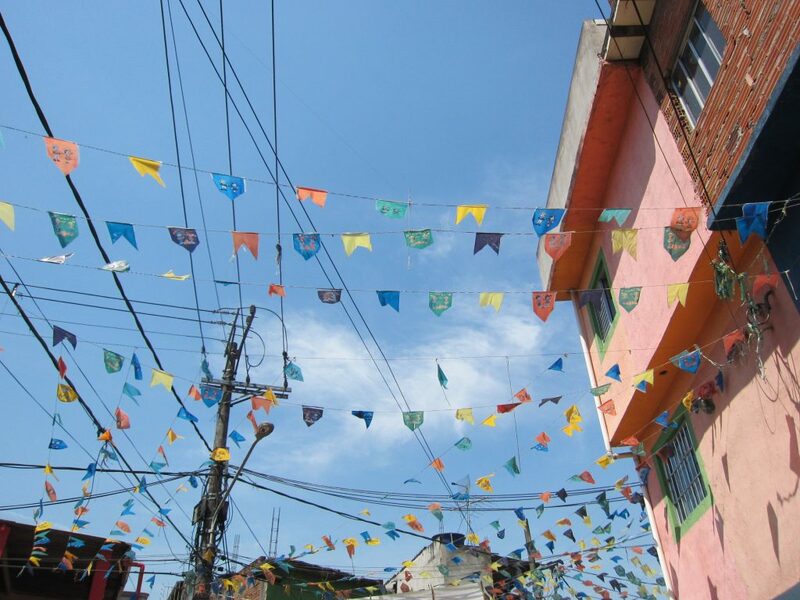 These institutions, together with the local São Paulo government and community organization, are investigating physical and digital interventions to further the development of this informal territory through innovative communications, sensing, mapping, design and construction techniques. This work is currently on view at the International Architecture Biennale Rotterdam, as part of the exhibition Parallel Cases II: Smart Cities, a series of installations that focus on the six elements that comprise Smart Cities, : the economy, infrastructure, environment, people, lifestyles, and coalitions. Heliopolis, in the southeast area of São Paulo, Brazil, has roughly 100,000 inhabitants in an area of almost one million square meters. Once considered the largest favela in Brazil, through a process of urbanization Heliopolis today has the status of a neighborhood. SITLab was launched in September 2011 during an intensive workshop in Heliopolis, conducted with the cooperation of the Secretary of Habitat and Housing in São Paulo, and local community organizations. The workshop brought together interdisciplinary art, media and design practices, and the resulting installation, on view at the Biennale, is focused on the poetics of witnessing and observation, one of the hardest tasks for urban designers. The SITLab decided to redefine the Smart Cities, rhetoric not only through new hand-held digital technologies, but also more importantly through face-to-face social encounters. The installation takes body gestures, and implicitly people, as the essential building blocks of Heliopolis. Five video loops mounted horizontally, and featuring an SMS story feed, move between ground and sky. Close-up attention of the ground surface uncovers how Heliopolis emerged as a vital component of its watershed. The sky sets the scene for the intensity that characterizes many of the rapidly urbanized areas of the world. The gap between the DIY-scale of Heliopolis and the helicopter-dominated skyline of São Paulo serves as a constant reminder that a smart connection between these two worlds still awaits. Fundamental to the mission of the SITLab is establishing an ongoing dialogue with the residents of Heliopolis, and the Biennale presentation will be brought back to Heliopolis for further discussion and collaboration. The second SITlab workshop will be held in São Paulo in Fall 2012.